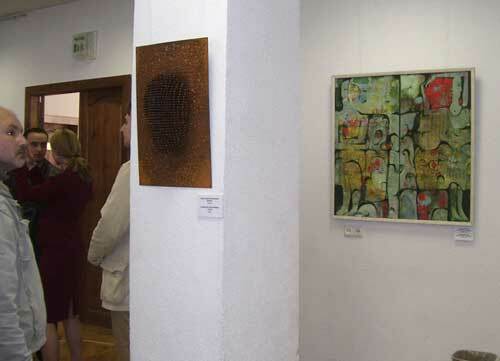 In honor of in which more than 80 young Belarusian artists and sculptors from all over the country took part, submitting over 100 artistic works. 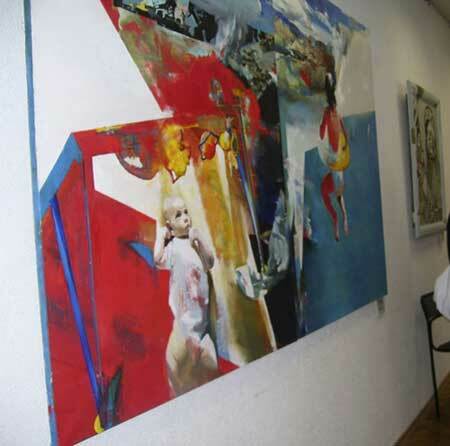 A professional Belarusian jury chose the best works to participate in the exhibition at Minsk’s Pushkin library. Opening the event, Charge d’Affaires Jonathan Moore expressed support for up-and-coming Belarusian artists and vowed that the Embassy will continue to sponsor such cultural events to promote cooperation and mutual understanding between the American and Belarusian peoples. Gran Prize in nomination “Painting” was awarded to Alexei Ivanov for his work “Open Pit” and in nomination “Sculpture” – to Konstantin Kostjutschenko for his work “Icon”. Roman Striga, Elena Ambrosova, Olga Kozyritskaya, Anna Silivonchik and Mikhail Gulin received Honorable Mention Prize. Maria Karpovitch, Ksenia Budnik, Anton Shipitsa and Tatsiana Kandratsenka won Audience Choice Prize. All other exhibition participants, including the youngest artist, an 8-year-old girl, received special prizes from the Embassy. A contest prize winner Mikhail Gulin commented, “It’s great that the US Embassy organizes such events because Belarus doesn’t have many opportunities for young artists to exhibit their work.” Extensive favorable press coverage, members of the jury and other local artists who took part in the opening ceremony echoed Gulin’s sentiment with enthusiastic praise for the Embassy’s organization of the event.